Celebrate the season and spirit of the holidays with more than 200 singers from six choirs. Not just holiday favorites, this concert will feature everything from a Latvian folk song and a traditional spiritual to the Hallelujah Chorus and Silent Night. 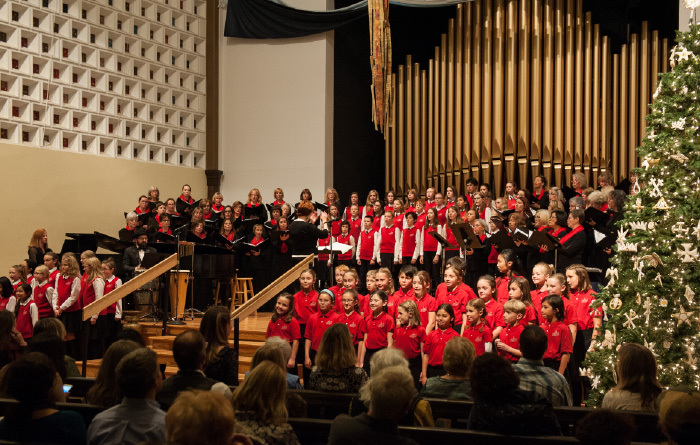 The annual Boulder Chorale Holiday Concert is a tradition you won’t want to miss! Our Holiday Market will feature handmade baked goods and locally made crafts. All vendors donate 20% of their profits to the Boulder Chorale. See more information about the vendors here. This concert is also performed on Saturday, December 15 at 4 PM.